Company | Shanks Veterinary Equipment, Inc.
Shank’s Veterinary Equipment Inc. is a leading manufacturer of large animal surgery tables. The Company was founded in 1957 on the principles of producing quality, versatile and affordable surgery tables for the large animal veterinarian. 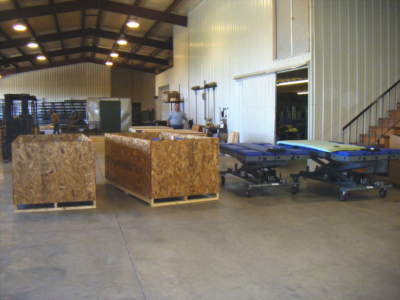 Over the years, the Company has developed other tables, equipment and ancillary products that can be utilized for transportation, examination, surgery and necropsy of large animals. Since 1957, Shank’s has continued to redefine the industry, developing one-of-a-kind products, expanding their global presence, and offering a variety of innovative and customized products for large animal veterinarians around the world. The Company has equipment in over 30 countries and over 145 U.S. and international universities and zoological facilities. 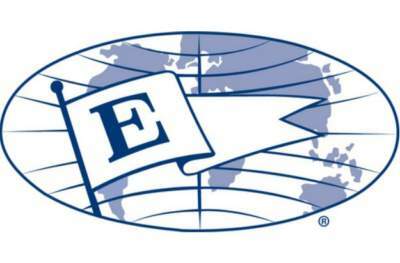 In 2016, we were honored to be one of 123 companies that received the President’s “E” Award. This award is the highest recognition any U.S. entity can receive for making a significant contribution to the expansion of U.S. exports.